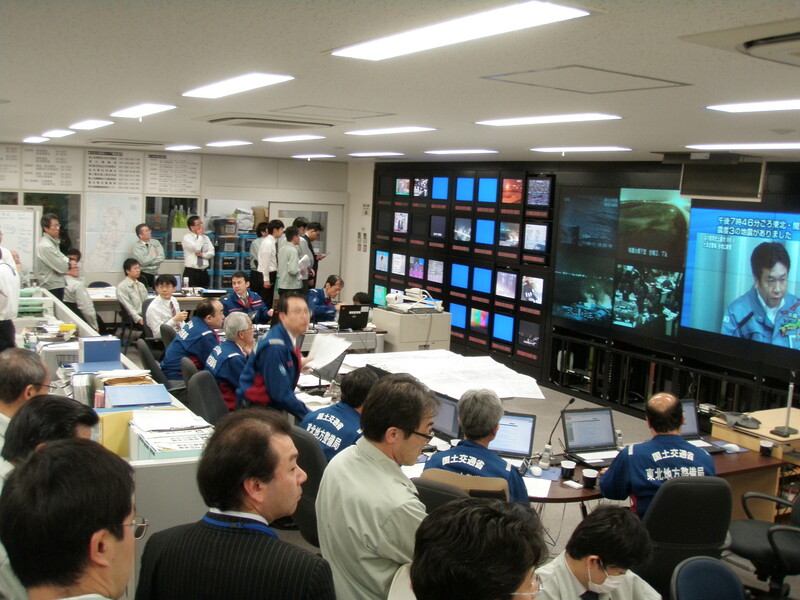 Tohoku Regional Development Bureau Disaster Response Room at 19:00 of the day of the disaster. Over a hundred of personnel started gathering relevant information. You can see the real time on site visuals, but parts of coastal area are not visible due to damaged equipment (blue monitor).